Investors in United Natural Foods Inc. saw new options become available today, for the November 15th expiration. The most recent short interest data was recently released for the 02/28/2019 settlement date, and United Natural Foods Inc. is one of the most shorted stocks of the Russell 3000, based on 8.84 "days to cover" versus the median component at 4.57. United Natural Foods beats earnings estimates but says it's seeing higher costs. Company to consolidate five distribution centers into a new 1.2 million square foot facility in Centralia, Wash. and a newly expanded facility of 800,000 square feet in Ridgefield, Wash. The combined company - with SUPERVALU - has not yet proven that it can deliver on earnings and synergies. Ticker Symbol to Remain "UNFI"
The most recent short interest data was recently released for the 11/30/2018 settlement date, and United Natural Foods Inc. is one of the most shorted stocks of the Russell 3000, based on 8.47 "days to cover" versus the median component at 5.06. 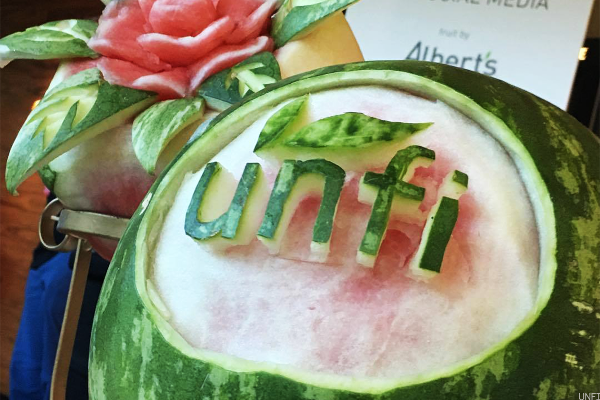 United Natural Foods, Inc. UNFI tumbled in early afternoon trading Friday after the organic and specialty foods distributor reported disappointing first quarter results. UNFI Announces Sale Of SUPERVALU'S Hornbacher's Stores To Coborn's Inc.
Don't look back later and wonder how you could have passed up such a great value. Investors in United Natural Foods Inc. saw new options begin trading this week, for the January 2019 expiration. Will Input Costs Weaken Lamb Weston's (LW) Q3 Earnings?